Few technologies have generated so much dramatic online discourse and puzzled most of the populace as Bitcoin. In fact, this digital currency has both piqued strong interest and caused a quagmire of worldwide confusion at the same time since its introduction in 2009 on an email as an online money liberation mechanism. Now Bitcoin is intriguing more people than ever before, causing its value to soar to all-time highs and to make millionaires out of folks who stashed away gargantuan amounts of in its early years. What explains this? Is Bitcoin currency's future? Can we call it actual currency? What is its purpose? And is it a good investment? Answers below. Bitcoin is a global cryptocurrency and digital payment system that employs decentralized technology to process transactions and store money without needing banks or names of payers or payees. Bitcoin operates on a block chain, a public ledger that keeps a decentralized record of all Bitcoin transactions. All network users hold and update the block chain as they continue to make Bitcoin transactions. They create Bitcoins by cryptographically generating blocks on their network through their computer power. When each created block is added onto the block chain, users make money from it by maintaining the network and their place in it. The system limits the number of Bitcoins each user can create to just below 21 million, to avoid diluting each Bitcoin's value. A total of 14 million Bitcoins now circulates. Each has a value of more than $4,000 as of this writing. What affects a Bitcoin's price? 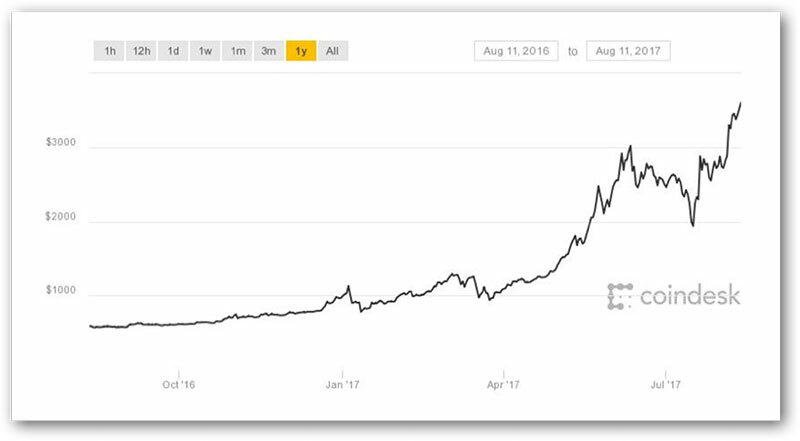 A Bitcoin's price has fluctuated since reaching its critical mass with the mainstream four years ago. At that time, prices skyrocketed nearly 10,000% before being pushed down again by the fall-through of Mt. Gox, Bitcoin's largest exchange. Today, CoinDesk is Bitcoin's likely leader. Tomorrow's new Bitcoin boss is anybody's guess. Following their plunge, prices began to inch up before soaring once more, mainly because regulators have gotten in on the Bitcoin act, and initial coin offerings have risen as a means of raising funds by vending Bitcoinlike cryptographic currency. Many cynics anticipate a new Bitcoin bubble about to burst, while supporters claim that Bitcoin's rebound is just beginning. "Satoshi Nakamoto" is the pseudonym of the unidentified originator(s) of Bitcoin and block chain. The true identity of Bitcoin's founding father(s) remains unknown in spite of endless journalistic efforts to track it down. In 2014, Newsweek declared Japanese-American man Dorian Nakamoto, 64, to be the founder, but scrutiny invalidated that finding, a car-chase ensued, and the suspect outright denied the magazine's claim. Within the last two years, former Australian professor Craig Wright reported to the BBC, The Economist and Wired that he was Bitcoin's creator, a claim he reiterated in blog posts. Failing to prove it, he publicly apologized: "I believed that I could put the years of anonymity and hiding behind me. But, as the events of this week unfolded and I prepared to publish the proof of access to the earliest keys, I broke. I do not have the courage. I cannot." So the individual or collective mastermind behind Bitcoin and block chain remains a mystery to this day. According to research from the University of Cambridge, England, up to 5.8 million users possess cryptocurrency accounts, most of which use Bitcoin. Bitcoin has many purposes, most commonly company-funding, cash investment, and fee-free money transfers. However, Bitcoin is also used in cybercrime, drug-dealing, money laundering and other felonies, since a Bitcoin wallet is nearly impossible to associate with any one person. Bitcoin can be expended both online and at designated retailers: CEX stores, Dell's website, Your Sushi restaurants, and select pubs. A complete list of Bitcoin-accepting online and offline enterprises can be seen at many websites around the net. Users can also withdraw Bitcoin at special ATMs, which are listed on-line. Others simply keep their Bitcoins for investment purposes. Given its extreme volatility, Bitcoin is yielding high gains from its early investors (see below). Independent, decentralized setups protect Bitcoin against theft, fraud, and transaction charges. Bitcoin has also yielded sizable returns for some of its investors: its price increased from a few dollars in early 2013 to $1,100 by the following November. This has made millionaires out of those who had invested $2,500 in Bitcoin in 2012. The Bitcoin more than doubled to $2,400 at one time this year, but its price-plunge by $400 last May left many investors high and dry. So Goldman Sachs needn't be so cocksure about the $4,800 price target their assigned analyst recently stuck on the Bitcoin. Given the Bitcoin's $2,000-to-$4,000 increase in the past three months, we at WT Wealth Management are not recommending Bitcoin investment. Nor, for that matter, are we familiar enough with Bitcoin to make a learned recommendation whether or not to invest in it. Since our expertise is in identifying undervalued equities and understanding the direction and sentiment of the financial markets, we are not prepared to predict the next move for Bitcoins—up or down. Yet we are asked about Bitcoins a few times a week, along with the availability of cannabis stocks for investment. Perhaps we will tackle the cannabis stock industry in a future white paper. 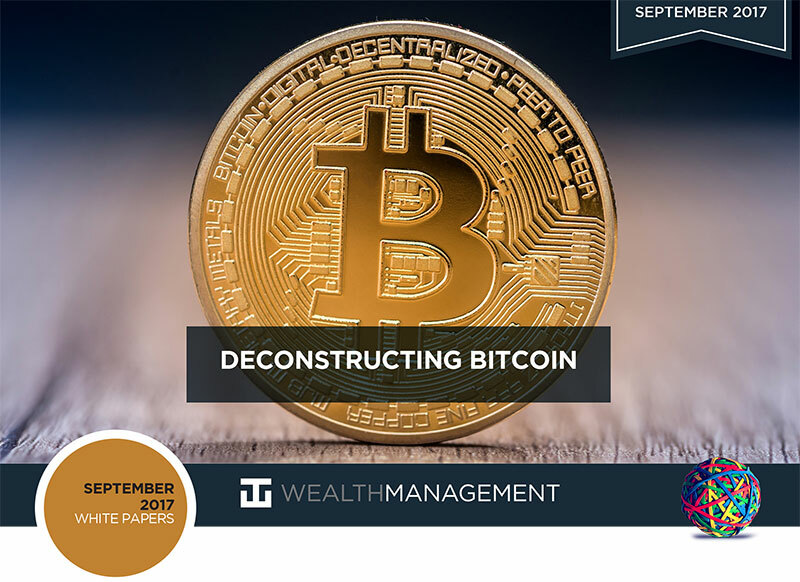 We like to make our monthly white papers timely and informative, and, with increased media attention on Bitcoin, its timing was perfect for us to perform some research on it and share our findings with our clients. Bitcoin. (2017). Bitcoin is an innovative payment network and a new kind of money. Bitcoin.org. Cable News Network. (2017). What is Bitcoin? CNNTech. Lee, T. B. (2013). 12 questions about Bitcoin you were too embarrassed to ask. McGoogan, C., & Titcomb, J. (2017). What is Bitcoin, how does it work, and what affects its price? Wallace, B. (2011). The rise and fall of Bitcoin. Wired, November 23, 2011.